Senior Designer Alan Chaffe and Marketing Consultant Liam Brown. Derbyshire Marketing agency Purpose Media has strengthened its creative and account management teams with two appointments. Alan Chaffe joins the South Normanton-based firm as a Senior Designer and will be responsible for leading clients’ creative projects through their visual identity and beyond. He has an impressive CV, having worked for Derby firm Alt Design for six years, Birmingham-based Rave Communications and former creative agency Revolver Revolver. The 32-year-old, from Derby, has a BA (Hons) in Graphic Communications from the University of Wales Institute, Cardiff, as well as a foundation degree in Art & Design from Derby College. 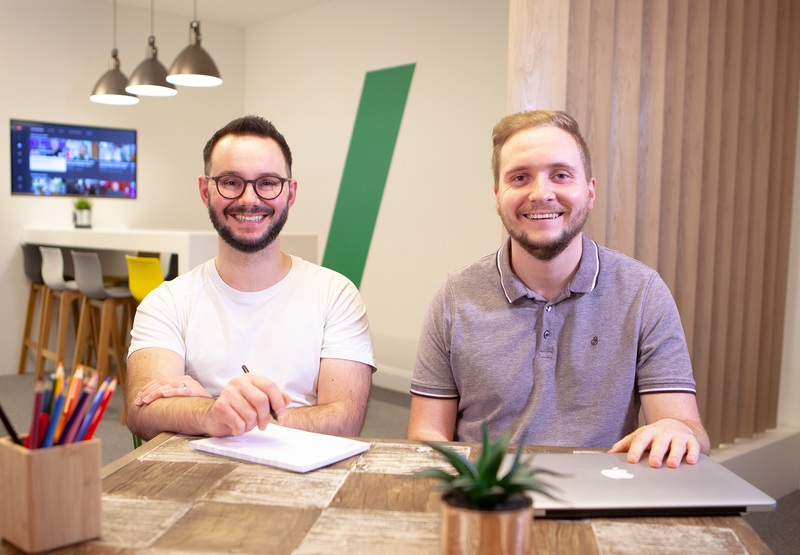 Purpose Media Creative Director Claudio Davanzo said: “Alan brings a wealth of design experience in some of the top agencies in the Midlands and will boost our creative offering to clients. Liam Brown, meanwhile, joins as a Marketing Consultant, where he will build relationships with existing and potential clients, helping them develop solutions to meet their objectives. The 24-year-old, of Warsop Vale, joins from Experian where he was responsible for working closely with businesses to help them build prospect lists and establish new customer bases for direct mail, telemarketing and email campaigns. He has a degree in Sports Development and Coaching from the University of Lincoln. Purpose Media Account Director Jamie Bourn said: “I’m delighted to welcome Liam to the account management team here at Purpose Media.